Product information "CD Precision Chip Resistors"
Type CD Low Resistance Precision Chip Resistors utilize the proven Caddock Micronox® resistance films to achieve the unique low resistance range in this family. Style WB - Wire Bond version for hybrid applications with metallized back surface for solder down heat sinking of the chip, includes bondable termination pedestals to receive aluminum wire bonds. Resistance as low as 0.010 Ω at ±1%. 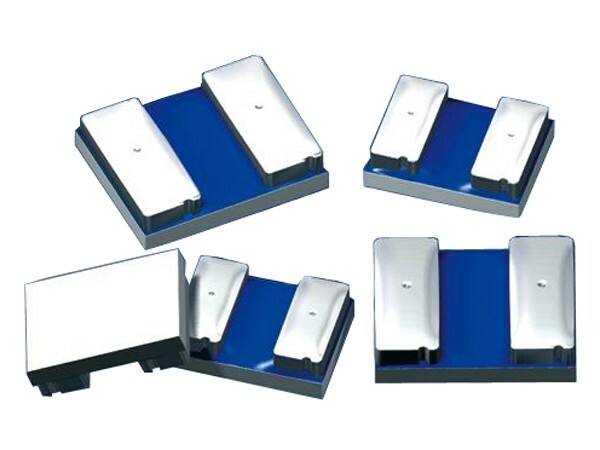 Pedestal terminals in this design provide an ultra low resistance connection pad which maintains the precision 0.010 Ω ±1% at the point of customer Kelvin connection to the resistor chip. The pedestal terminal with its copper core also provides heat spreading which enhances the high power handling capability. Related links to "CD Precision Chip Resistors"
Customer evaluation for "CD Precision Chip Resistors"